Oftentimes, the most difficult opponent to face during a tennis match can be yourself. Tennis is one of the most challenging sports from a mental and emotional standpoint as you are often out there on court all by yourself. Long Island Tennis Magazine discussed a number of common scenarios with experts in the field of sports psychology, including Sport Psychologist Dr. Tom Ferraro; Founder and Director of Inside the Zone Sports Performance Group, Rob Polishook; and AASP Certified Mental Performance Consultant Amanda Ferranti, Director and Founder of Ferranti Empowerment. 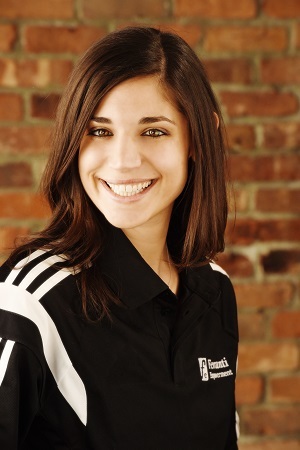 Amanda Ferranti is the Director and Founder of Ferranti Empowerment, where she has established herself as a Certified Mental Performance Consultant for youth athletes, teams and coaches. Amanda has an MA in Sport and Exercise Psychology, a BA in Psychology from Princeton University, and years of experience working with athletes and coaches in various sports, ages and levels. She has achieved a great deal of athletic success herself, having played soccer for the HBC Fury (seven-time State Champions, three-time Regional Champions, three-time National Finalists), Princeton University (Ivy League Champions, NCAA Final Four semi-finalist), and the Long Island Rough Riders (Northeast Division Champions). Amanda also has a diverse background competing in multiple sports, including swim, basketball, lacrosse and dance. 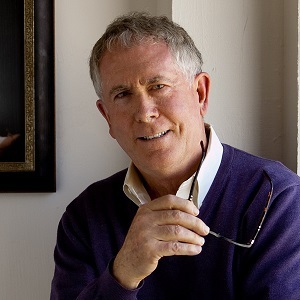 Dr. Tom Ferraro is a world renowned Sport Psychologist with a Ph.D. from SUNY Stony Brook. He has more than 25 years of experience working with professional teams, coaches and Olympic athletes across a broad range of sports. He is board certified as a psychoanalyst, which allows him to properly diagnose and treat the symptoms the athlete brings to the office and also to help them understand the underlying reasons for self-defeat. He publishes internationally and has been featured in the New York Times, The Wall Street Journal and The London Times. Recently, he was the featured Sport Psychologist in a full length documentary film by director Robert Hoffman about the psychology of coaching. The issues he treats include anxiety, the yips, anger, slumps, loss of confidence, depression, injury recovery, concussion recovery, drug use, family and team problems. Rob Polishook, MA, CPC is Founder and Director of Inside the Zone Sports Performance Group. As a Mental Training Coach, he works with athletes and teams, focusing on helping athletes gain the mental edge. 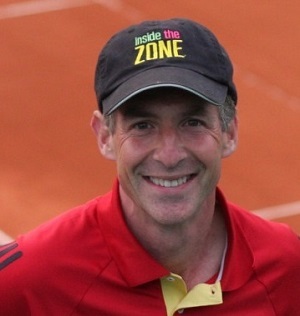 Rob is Author of Tennis Inside the Zone: Mental Training Workouts for Champions. As a Mental Training Coach, Rob works with athletes and teams in all sports and at all levels, from middle school to professional athletes. He teaches cutting-edge mental training skills, techniques and provides the tools necessary for athletes to compete in high level pressure situations. What are some of the biggest mental challenges/problems that tennis players face? Dr. Tom Ferraro: The biggest mental challenges that tennis players face are related to their ability to cope with anxiety, distractions, surprises and anger. Each athlete must find a way to manage these feelings. Their ability to do so is connected to their self-image, past performances and the way their parents raised them. Often, as the athlete rises up the ranks, they will begin to experience one or more of these emotions which were heretofore repressed. Tennis players often have to deal with bad calls or playing in front of a crowd that is cheering against you. How should one handle these types of situations? Dr. Tom Ferraro: The best way to manage bad calls, nasty crowds or any other negative occurrence is to be ready for them. Murphy’s Law simply states that “Anything that can go wrong will go wrong.” Therefore, it is crucial to expect the worst so that it will not surprise you. Prior to every match, remind yourself that odd and surprising things will inevitably occur and to let them roll off your back and remain in the zone. What advice would you give to a player who is too emotional on the court? Rob Polishook: Before I gave advice, I would listen and want to know what they are experiencing. Without understanding their perspective, you cannot possibly get to the root of the problem and resolve the underlying issue. Many times, what is seen as a problem is not! But a symptom of something else which may not even have to do with tennis, but rather, something off the court. Ultimately, we want to channel the energy in a way that is helpful. During matches, sometimes things go well and others times, they don't go according to plan. What advice do you have for players who need help in overcoming in-match adversity? Amanda Ferranti: For competitive athletes, adversity can be difficult to withstand because of one’s expectations going into the match. For example, if you believe that “I have to win” or “I have to play my best all the time,” then you are demanding yourself to accomplish an uncontrollable task. As a result, you will feel a great deal of pressure and stress, especially if you are not winning or are not playing your best. So instead of saying you “have to,” change your vocabulary to “I want to win” and “I want to play my best,” which will help you feel more determined when faced with adversity. Rob Polishook: To start, players need to expect that each match will have its own unpredictable peaks, valleys and challenges. The sport of tennis is hard, so expect adversity! Additionally, knowing you cannot play your A-game 100 percent of the time. Rather recognizing your level and making calculated adjustments as necessary. Anyone can win when they play well. However, the best players learn to adapt and adjust when they are not playing their best. When negative thoughts begin to enter a player’s mind, what are some tricks or techniques to keeping their mind positive, despite the score or the way the match may be going? Amanda Ferranti: The short answer to this question is to repeat three character traits that you strongly identify with as a tennis player. For example, you can remind yourself, “I am disciplined, strong and determined,” which often produces feelings of pride, confidence or optimism. Another trick is to remember specific things that you have done well in the past. For example, “I came back from a poor start and won a match last month.” These skills are simple and valuable, because they are reliable ways of producing positive emotions in a moment where you are feeling uncomfortable. How much of a key is the mental side of tennis as opposed to the physical side of the sport? 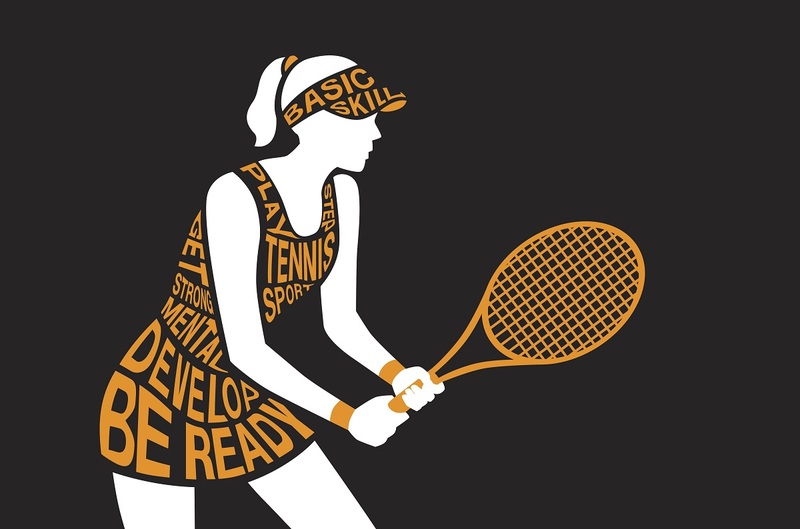 Amanda Ferranti: To best answer this question, I will share a quote from one of my highly competitive clients, who is currently a highly-ranked USTA player: "Ferranti Empowerment has helped me capture my potential mentally in ways that are indescribable. My knowledge about the mental part of sports has improved exponentially, in all areas of my training." As a player ages, the physical side of the game requires maintenance and fine-tuning, while the mental side is paramount. Dr. Tom Ferraro: I would say that the mental and the physical aspects of the sport are of equal importance, but clearly the mental side is given far less attention. In some ways, this is tragic because what typically happens is that an athlete is training physically, develops tennis skills and this takes them upward towards tougher competition. What usually happens is that many will not have the mental strength or training to cope with the escalating pressure and they will either implode psychologically or incur an injury which takes them into a downward spiral and away from the unbearable and unmanageable pressure. What do you recommend a player think about in the hours before a match? Amanda Ferranti: Before a match, it is important to develop a pre-performance routine or plan. This plan is individualized and may take some trial and error to develop, however, once it is established, the player can then develop confidence or trust in their preparation. For many athletes of this current generation, it may be best to neither think nor distract oneself, but rather, meditate and clear one’s mind. Through practiced meditation, the mind is sort of resetting and getting ready for the many cognitive and emotional demands of a competitive match. Dr. Tom Ferraro: The hours before a match are a crucial time for the athlete to enter into a focused/aggressive zone of performance. Many try to do this by using music or by getting a pep talk from a coach, but these tend to be rather ineffective. The athlete will often benefit from professional training to learn how to find the zone which will enable them to enter into a bubble of focus and sheer willpower. Overall, I would say that the mind is an important organ in all sports, and it needs specialized training if the athlete expects to go very far.